Welcome to my new favorite photo shoot! Do I say that I every time I do a session? Perhaps…but seriously, this one was incredible. I loved working with this amazing team of wedding professionals to create this styled Pennsylvania Academy of Fine Arts Indian Wedding. 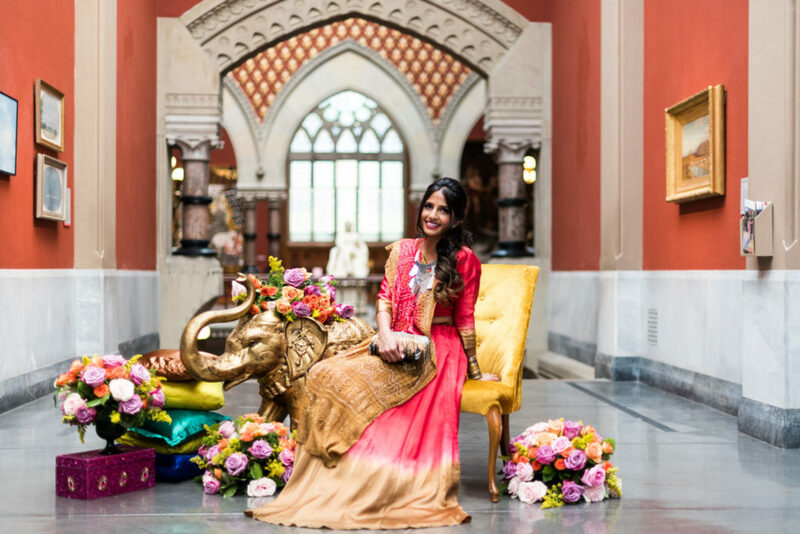 PAFA is branching out and accommodating more and more Indian brides in the Philadelphia area so this styled shoot was a great way to show what they can offer in terms of ceremonies, receptions, and especially sangeets. This rockstar team really went above and beyond and made this shoot what it is and I can’t be more appreciative of their amazing skills! We started the day with portraits of our stunning model, Gopi. Gopi wore a traditional cream and gold lehenga for these portraits. 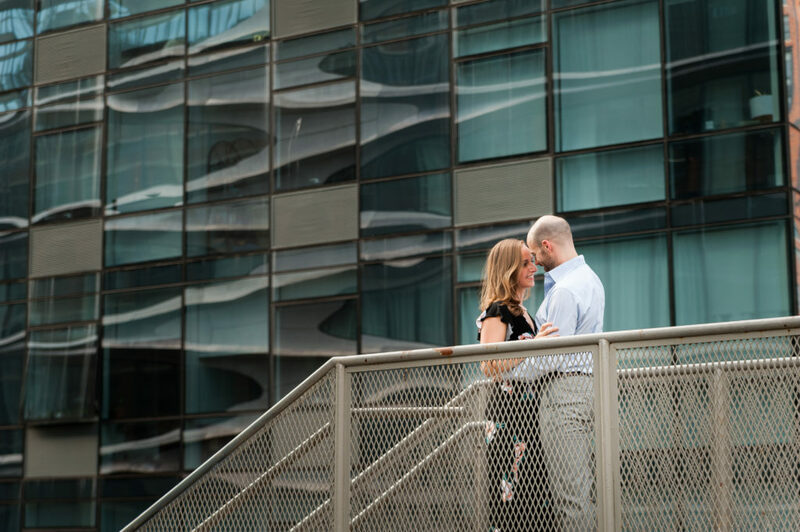 We were able to use the rooftop at PAFA for the first part of the day. I loved this because so many weddings and portraits happen during the brightest parts of the day and many times photographers are left to figure out how to work in that bright full sun. In these photos I just accepted the full sun and used it to show that you can still make great portraits on a bright and sunny summer day. We didn’t last too long outside because the heat was intense and poor Gopi was wearing about 30 pounds of beading. We made our way to the historic building first to showcase their stunning interior. The possibilities of working inside the historic building are endless and I could have spent the entire day there! I had to wrap things up though so we could head over the modern building and see what the team at Lax States created! Lax States set up the most perfect event decor. The colors, textures, florals and every little detail worked together to flawlessly create the setups you see here. These setups would primarily be used for sangeets, ceremonies, or even mendhi ceremonies. I may have gotten a little sidetracked here when the idea popped into my head to showcase the view from the Annenberg Gallery. We ended the day by coming full circle and going back to the historic building just to show the versatility of the spaces and the event decor. Lax States brought over pieces from the sangeet setup over to the the hallway near the rotunda and we were able to capture these gorgeous photos. Thank you again to all of the vendors that collaborated on this project! To inquire about Indian or American wedding collections and availability please contact Noreen using the website here.